While being shaved in front of a crowd on February 7, 2019, Brady told reporters that at first, he believed his wife’s practice of witchcraft was “kinda crazy”. Then after seeing her success, he “stopped questioning her” and “just shut up and listened”. 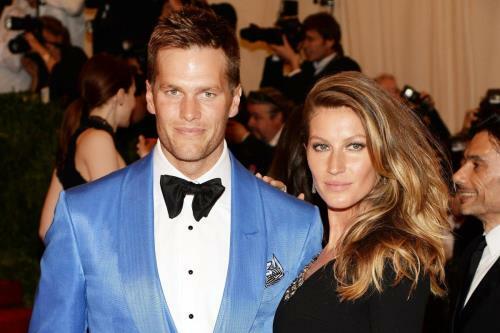 He says his wife, super model Gisele Bündchen, makes altars for Brady before each game. The altars consist of pictures of his children, healing stones, and protection stones. He says she has him wear a special necklace for protection and provides concoctions for him to consume while saying incantations. Um Tom, alters? This is called witchcraft. Brady also says his wife can always predict the outcome of his games – if he follows her instructions. She has predicted each of his Super Bowl wins and even predicted his surprise AFC Championship loss to the Denver Broncos in 2015. Fact-checking sites such as Snopes concede that Tom Brady did make the comments but claim he was not serious. Watch the video below, he was laughing about it but he is telling true account and is something he admittedly still practices. Gisele Bündchen is from Brazil where Candomble Voodoo has been highly practiced for over a century. If you think this is all a joke do some research on Candomble Voodoo. This would make a lot of sense as Tom does seem to have extraordinary abilities. Makes you wonder what else SHE is doing. Sacrifice much?